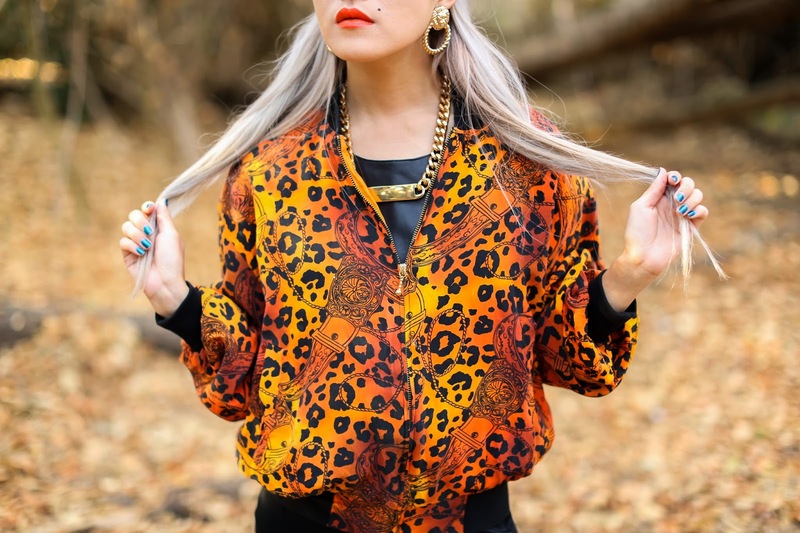 Love Charlie J Vintage bomber (c/o). Love Charlie J Vintage halter (c/o). 90s Lullaby skirt. YRU shoes (c/o). Love Charlie J is a shop where you can find unique vintage pieces like the ones I'm wearing here. I love vintage because it's pretty cool what you're wearing isn't mass-made, and you're one of few people (and quite possibly the only person) who owns that piece. 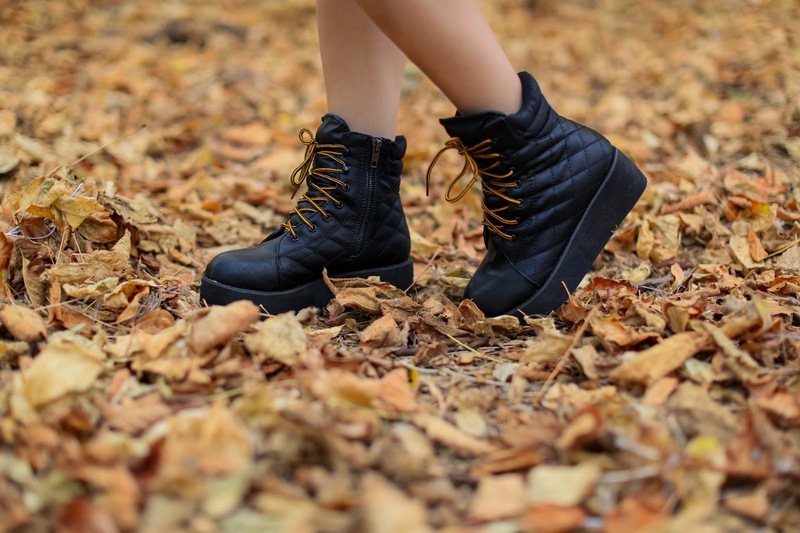 I'm pretty stoked to add this pair of boots to my YRU collection--they more than quench my desire for Timberlands and give me a little extra height as well! I'm loving the urban feel of the shoe design and shoelace combined with the luxuriousness of quilted leather. 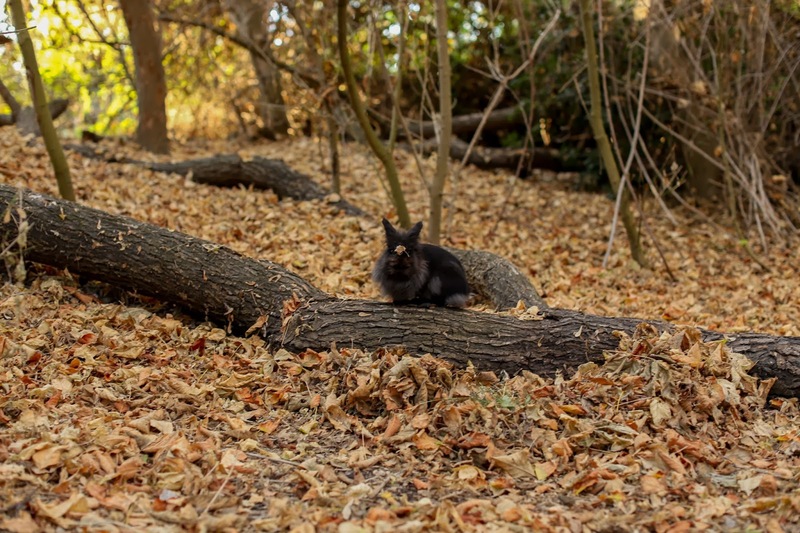 Anyway, as I was traipsing through the woods this day, I came across a bunch of, dare I say, feral bunnies! They let me come incredibly close. Look at this one. There's a leaf on his/her head! Silly wabbit. What's this lipstick? It looks amazing ! Thanks for finally talking about > "From a basement on the hill"